Penelope, wife of Odysseus, is a weaver who cleverly avoids the suitors who are trying to take over the kingdom of Ithica, by weaving a shroud and then ripping it out each night. Weaving is also a metaphor for the structure of the early Odyssey, told over the story of the Iliad. 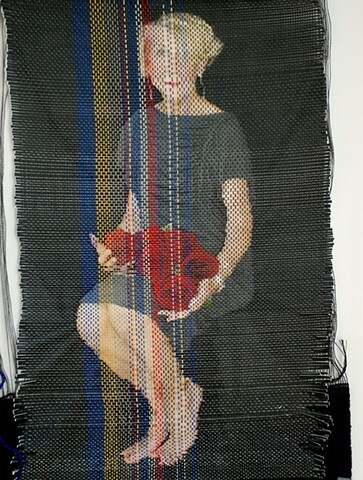 In real life, Kuchma is a photographer and weaver of international note.